The development of skills that preserve physician wellness should ideally start long before one is in medical practice. 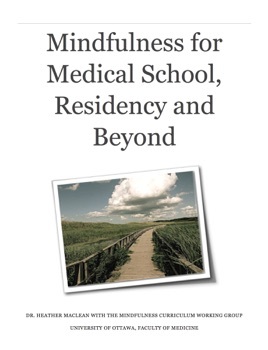 Mindfulness for Medical School, Residency and Beyond is an introduction to fundamental concepts and practices in mindfulness and highlights the benefits of mindfulness to students and medical practitioners alike. 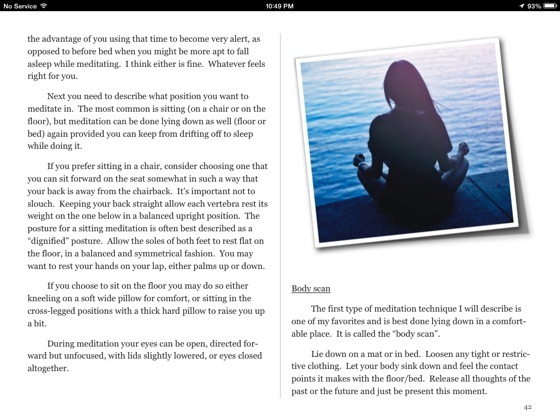 •	A page-turner: Reading Dr. Heather MacLean’s ibook on mindfulness was a delight. From the beginning, I found myself pleasantly immersed in its narrative, eager to explore it - virtual page after virtual page. The author created a book as lively, honest and clear as her lectures and presentations always are. A gem. •	Friendly approach & great teaching value: the author invites us to discover mindfulness – its essence and its potential - and gently guides us throughout this process of discovery. Using humour, relevant metaphors, anecdotes the book steadily builds its teaching dimension (contextualizing, de-contextualizing, preparing us for re-contextualizing). It emerges as a textbook, but also as a rich, flexible orientation resource for anyone’s personal “lifelong curriculum”. 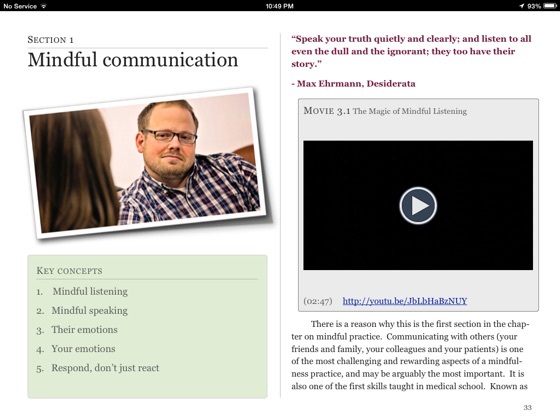 A companion throughout the reader’s journey to becoming a mindful Watcher, the author emerges as a friendly Teacher. And a Healer. 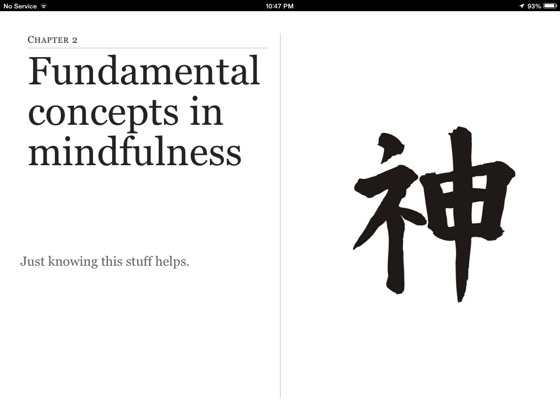 •	Congruent structure & content: The book is structured to gradually “increase our awareness about awareness” (the concept of mindfulness, the science behind it), then help us implement mindfulness in our everyday lives and envision its potential benefits; everything is presented in an open-minded, light-hearted, non-judgemental way - true to mindfulness teachings. A perfect chapter length; clear, user-friendly key notes; carefully chosen relevant ramifications to explore (videos, references for scientific papers) nicely serve the purpose of the book. 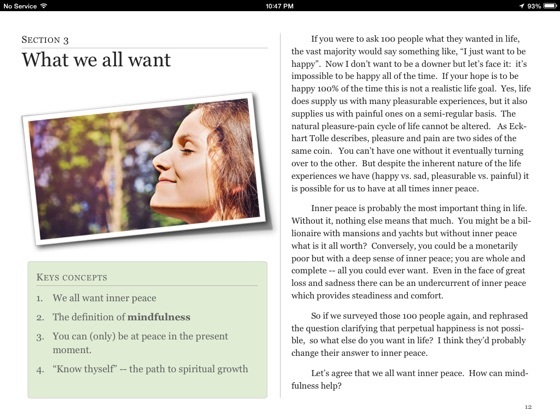 •	The message: In one of the last sections, we learn that we frequently neglect our connectedness “but we can be reminded”. And re-minding is precisely what mindfulness does – from rewiring our brain to fostering connexions with others. The beauty of this book is that it can help us re-mind ourselves: “to pay attention, on purpose, in the present moment, in a particular way - with curiosity, compassion and acceptance” – to quote Dr. MacLean’s mnemonics of the “4 p”. And this is essential for any healthcare professional, at any stage of their career. And well beyond. 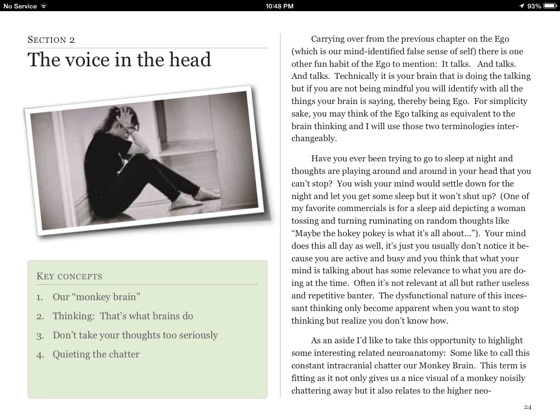 I thoroughly enjoyed this very intelligently written iBook and I recommended it to all my friends and family. Not only is it a great read but it is an excellent guide to achieving a piece of mind. It is full of unique and personal observations on how the mind works and practical advice on how to enhance one’s life experiences. This book is for anyone who would like to learn about how to develop and apply the skills of coping with stress in a healthier manner. On a scale of 1-10, I give it a 10. Dr. MacLean takes the concept of mindfulness and makes it accessible and relevant to medical students as they begin their career journeys. The hope is that they will incorporate the practice early so that they can face the challenges and stressors that will be inherent in their lives as physicians with greater awareness of the need for self-care. In caring for themselves they will be more caring physicians. This book is recommended reading for students in all health care professions.